Do you miss Isabel, now that it’s over? I sure as hell do. 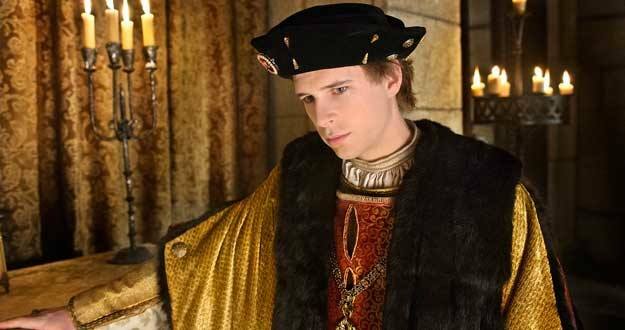 I couldn’t bear living in a world where I didn’t have new episodes to watch of this historical masterpiece, and its sequel, Carlos Emperador (‘Charles Emperor’) won’t arrive until this autumn, so I hurried to get the box set for Christmas -I actually bought two, one for me and one for my mother, and now we have an intermittent marathon together which consists of watching the episodes at siesta time or right before bedtime at night every time I go to Spain. But do not worry anymore, because the Olivares brothers (RIP Pablo) and Cliffhanger created something to keep you entertained and amused in the meantime. And starring none other than our very own King Fernando, Rodolfo Sancho. Let’s start from the beginning: the title. The show is called El Ministerio del Tiempo, which translates as ‘The Ministry of Time’ and it is exactly about that: the Spanish government has a secret ministry that was discovered in the time of the Catholic Monarchs (nudge nudge, wink wink) and where the travellers go through doors to other eras (only to the past) to fix things in history that for some reason have changed. Think of it as some sort of Doctor Who, but instead of a TARDIS they have doors, and instead of a charismatic Time Lord they have civil servants –although Sancho can be just as charismatic as Tennant at his Tennantiest. The main three characters of this story, the three workers who always travel together are Julián (Rodolfo Sancho), a paramedic from 2015 devastated by the death of his wife in a car accident; Amelia (Aura Garrido), a rich university student from the end of the 19th century, and Alonso (Nacho Fresneda) a soldier of the Army of Flandes in the 16th century who gets constantly compared to Alatriste. In the Ministry we also find Irene and Ernesto, who help them out with their missions and Jaime Blanch as Salvador, the boss, who provides some of the best laughs whenever he has a conversation with one of the workers of the ministry, Diego Velázquez. Yes, one of the best painters in the history of Spain is a recurring gag in the series, and he delivers it perfectly (wait until you see his obsession with meeting Picasso). 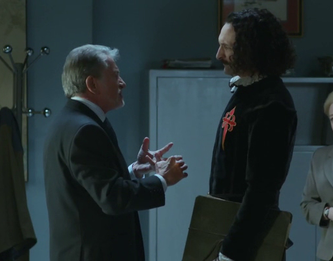 There are five episodes broadcast so far, and we have seen the team travelling to prevent playwright Lope de Vega from dying before he was supposed to, stopping the execution of the rabbi who shared the secret of the doors with the Catholic Monarchs (yes, there were cameos and it was all very meta) or boycotting a meeting between Hitler and Franco that was going to make a ruined Spain enter World War II. It is not Isabel, of course, but there are trips to the past in every episode and, let me tell you something, I have learned a thing or two about history. You cannot deny they are very accurate and make sure everything is correct. It’s the type of history lessons you would get from the First Doctor. You can watch all the episodes with Spanish subtitles on their official website. I know there is a website called Drama Fever that usually puts Spanish series with English subtitles, but I have no idea if they have uploaded this one yet. May I say, It also has A LOT of popular Spanish culture related jokes, not just like cameos, (Queen Isabel, who appears in one of the first episodes, is played by the actress who plays Isabel in “Isabel”, and when Julián meets her he says she is familiar to him, referring to the show but my favourite one was in episode two, when Julián is a savage and tells Lope de Vega: “No sé si estoy en lo cierto, lo cierto es que estoy aquí, otros por menos han muerto, Maneras de vivir” wich translates to “I don’t know if i’m right, The right thing is that i’m here, others have died from less, Ways to live” and Lope de Vega questions if its from Góngora (a famous Spanish writer from the 16th century) when it’s actually a rock song from La Movida Madrileña (a very important cultural movement in Madrid in the 80s) by the band Leño. And not just that, jokes involving Curro Jiménez (Rodolfo Sancho is the son of the actor who played Curro Jiménez, you can serch it on the internet) and other stuff. 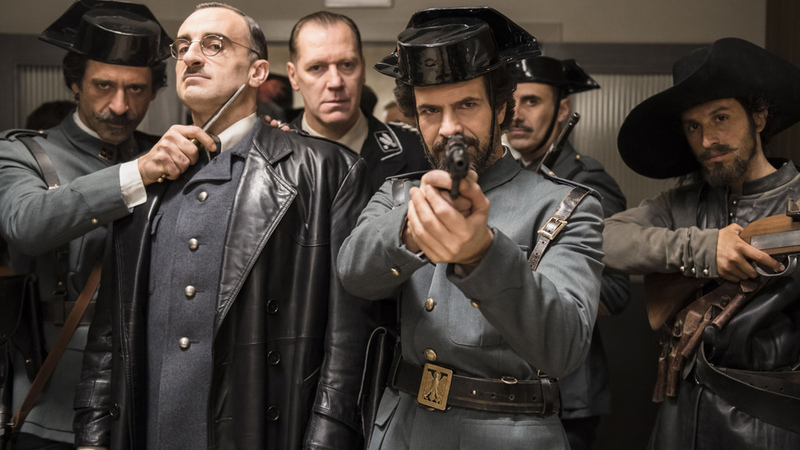 They are jokes that you may not get if you’re not much into Spanish popular culture, and the show is full of them, but even if you don’t get them, the show is hilarius, the history is accurate and the characters are awesome. Seriously, watch it. First of all – I am an Italian living in Spain, so I am one of those who do NOT get all the jokes in The Ministry of Time, unless I have a Spanish friend on my side explaining them to me. Still, it is as good – in its own, different way – as Doctor Who (when the Doctor is good, which has not been always the case…). As a matter of fact, the format is reminiscent of the “original design” for Who, a show that was supposed to teach kids history while entertaining them, and then grew well beyond this specifications. Each show is very representative of each country’s culture – as far as I can tell, stranger observer, to both, that I am. I would recommend it to anybody that has some knowledge of the Spanish language, with the provision that it is – of course – in Spain’s Spanish. If you have learnt Spanish in Latino-America, chances are it will sound “odd” and “funny” to you; like Dr Who’s English sounds strange to many an inhabitant of New Jersey. Please, I need your review episodio 1×08! This just came to Netflix the other day. What a joy! I was hooked 5 minutes in and look forward to seeing the entire series. The storyline is fun and complex and the dialogue is rich, and a little hard to read the subtitles fast enough. Definitely a great show!